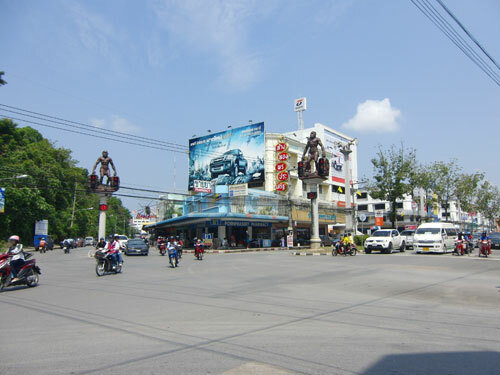 After the ferry passage to Krabi we placed our luggage in the town's tourist info and went to explore the provincial capital. 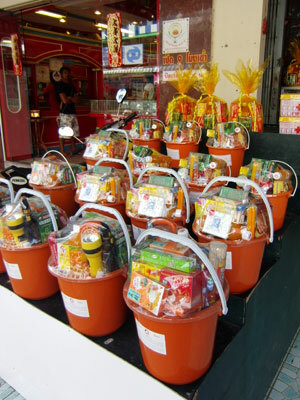 To our great pleasure we soon found stalls with delicious street food and fruit shakes. It was a very hot day and after a visit at the post office we enjoyed a snack in a fan-cooled restaurant before heading for the airport. We landed at Suvarnabhumi Airport at 6 p.m. on time. On the taxi drive to town we had to stop at a road barrier. The taxi driver told us that members of the royal family were on the highway and that we had to wait until they had passed by. 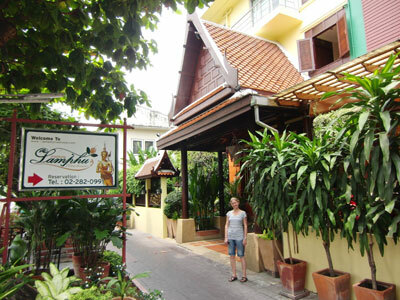 We watched the dark limousines pass at full speed and after we were allowed to go again we soon arrived at Lamphu Tree House Hotel. 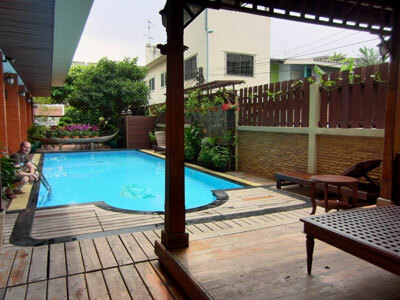 The very recommendable hotel is located in a quiet residential area at Khlong Bang Lamphu, one of the old canals encircling the historic city centre. 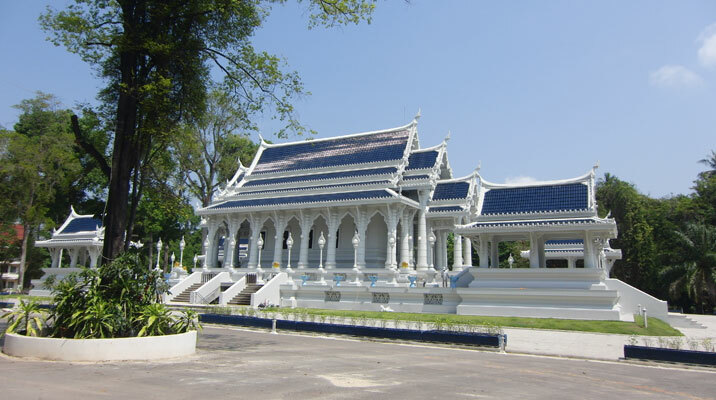 All the main tourist attractions like the Royal Palace and many of the famous temples are within easy walking distance. 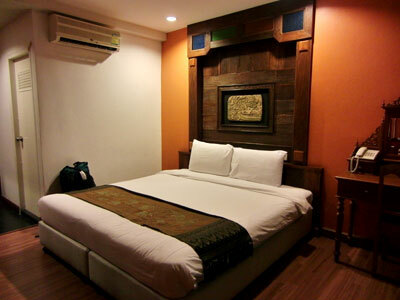 The rooms are spacious and equipped with air conditioning. 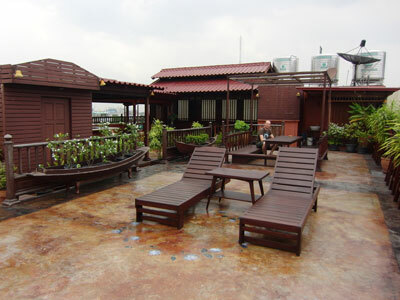 There is a small garden with restaurant and pool and also a roof terrace. After check-in we started to explore the surroundings and finally ended up at Khao San Road, the mecca of the backpacker community. 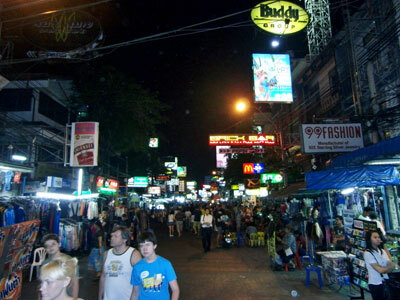 Here one can find cheap accommodation, restaurants, bars and a street market. We felt it was too loud and busy for sleeping there but it was just right for an evening stroll.